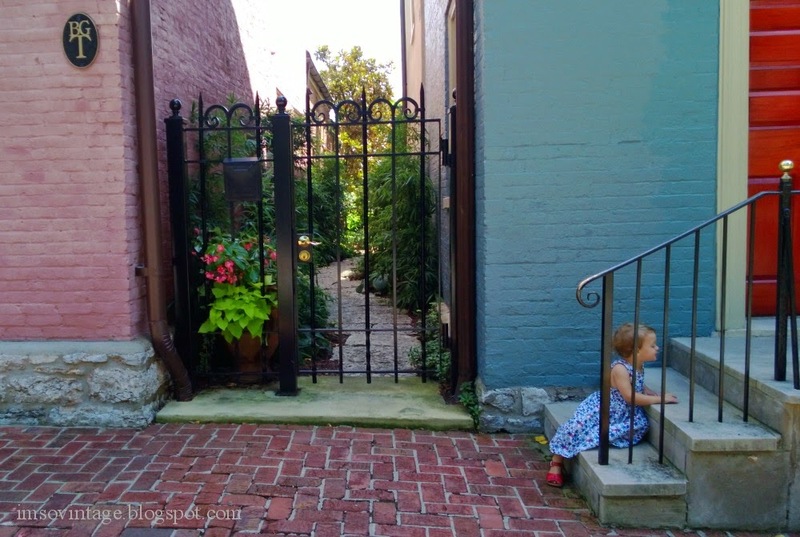 Last month when the family was here one of the things we did was have a picnic lunch and self guided walking tour of Gratz Park. 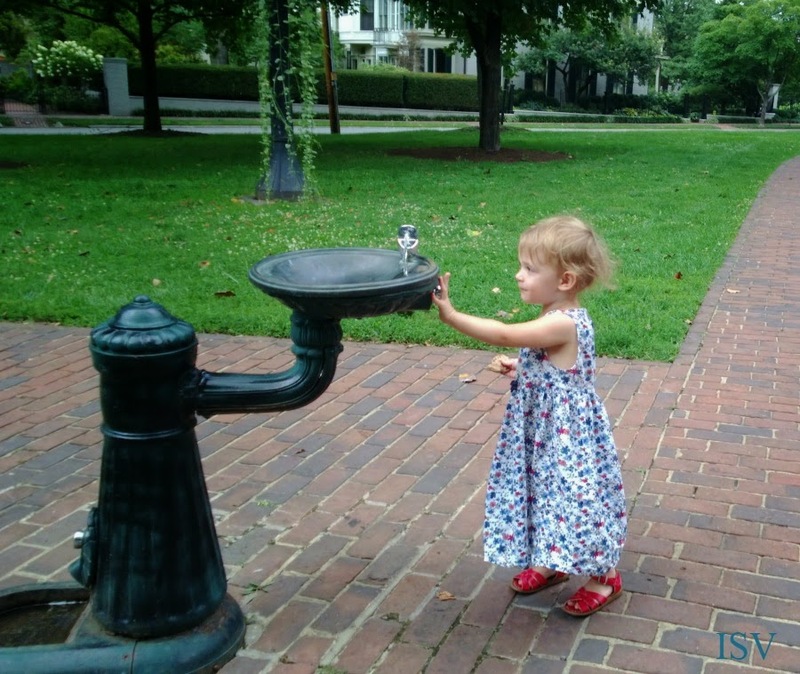 Tessa was so excited that she decided to climb up the front steps of the mayor's house and knock on his door. I can't say that I blame her. I would really like to take a peak inside, too. 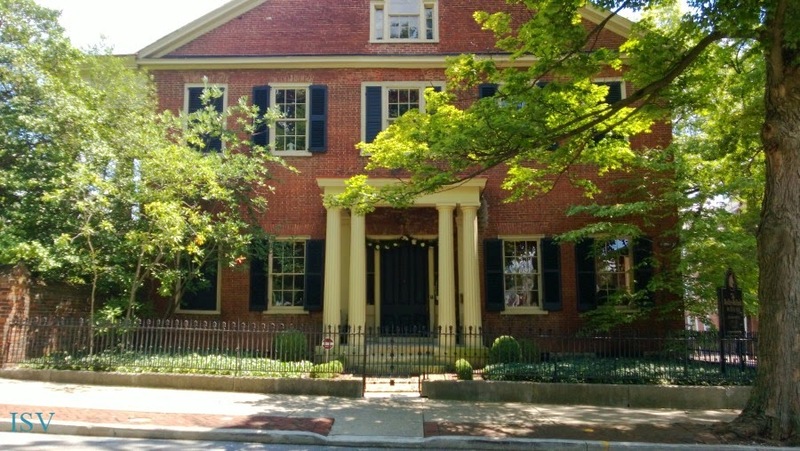 The Gratz Park Historic District is a beautiful area in downtown Lexington, Kentucky comprised of a charming city park, the old Lexington Library building, and several large historical homes. 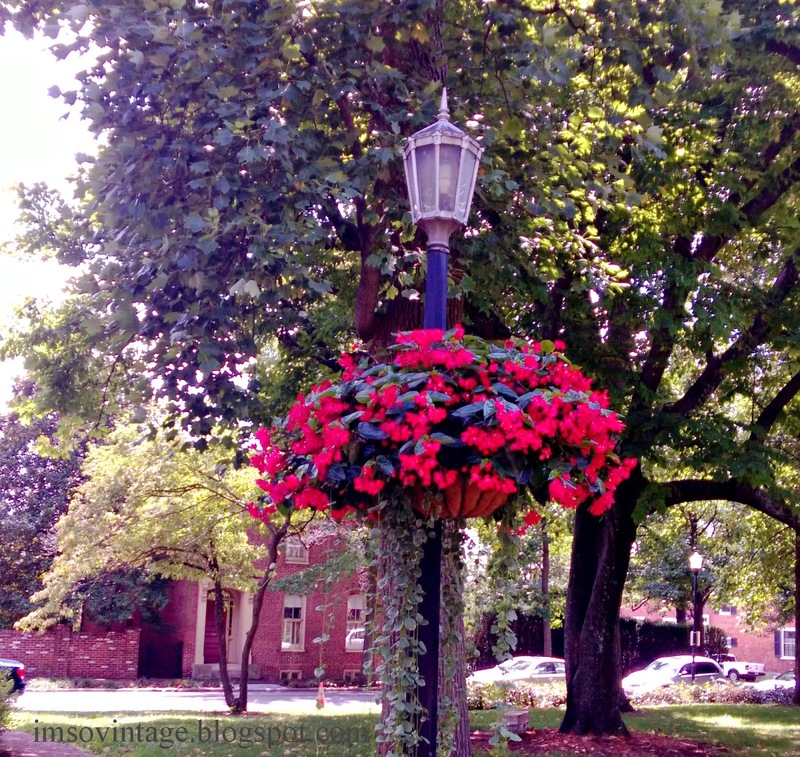 It was a perfect summer day and the flowers were all at their peak. 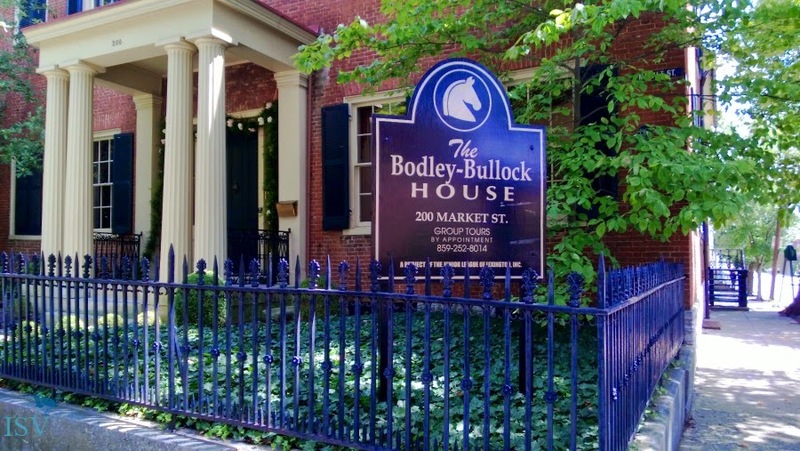 When I went back to finish my undergraduate degree and then my graduate degree I worked at an historical home, the Bodley-Bullock House, in Gratz Park. 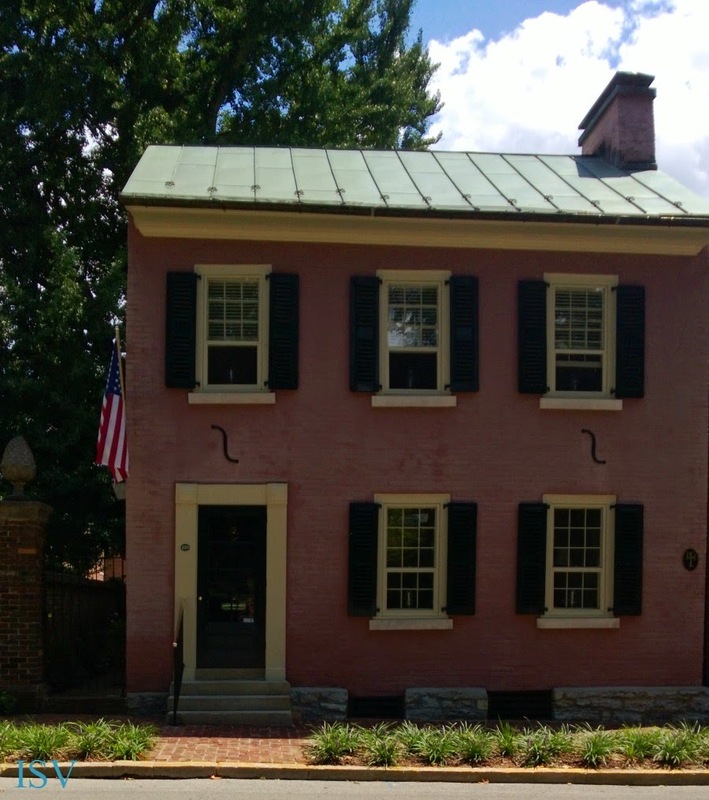 The home, which was built in 1814 was headquarters for both Union and Confederate forces during the occupation of the city. These days the Junior League runs the home and rents it out for weddings, parties, and political events. It was my job to oversee the house during those events. Absolutely beautiful! Reminds me of Savannah, GA, one of my favorite places to visit. Beautiful places! And what a sweet last pic. Those are darling little red sandals! It is really pretty there. Very historical. Love your little leader. She definitely led us on a merry chase, Debby. She's a little doll! What a beautiful place to spend time with family and make some special memories! Hugs! What a lovely place! Looks like a fun day and I'm sure even sweet little Tessa enjoyed it! Thanks, Tanna. That week with the kids was definitely the best week of my summer. That really is a beautiful park! 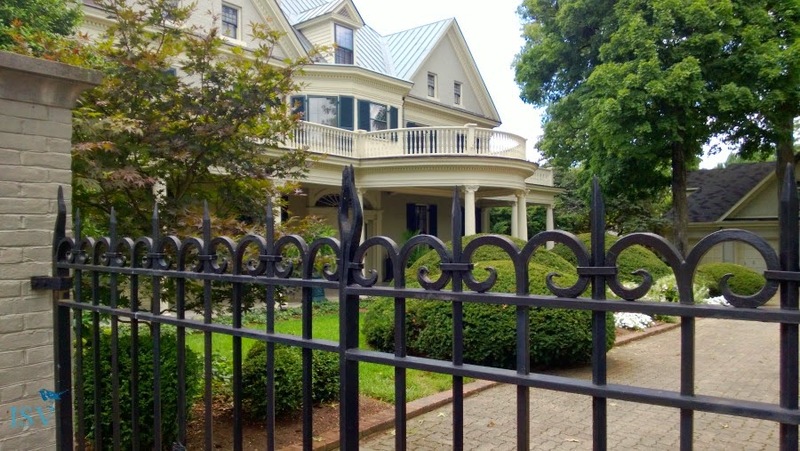 I loved seeing the southern historic homes.